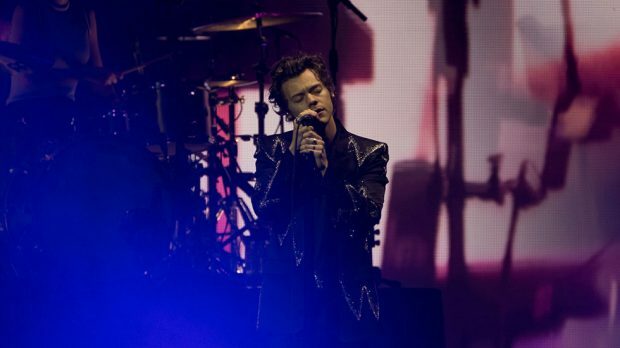 Harry Styles kicked off his Australian tour last Saturday at Perth Arena. It follows the release of his wildly successful self-titled debut album last year. Styles’ solo music, which was showcased throughout the night, had an influence of soft rock and was a clear departure from his boy band beginnings. This eagerness to not be defined by his ‘pop’ roots was evident with the choice of the opening act, The Preatures. The Australian indie rock band opened the show with an energy that was palpable through their strong guitar lines and compelling vocals. Featuring some of their well known records, such as Is This How You Feel? 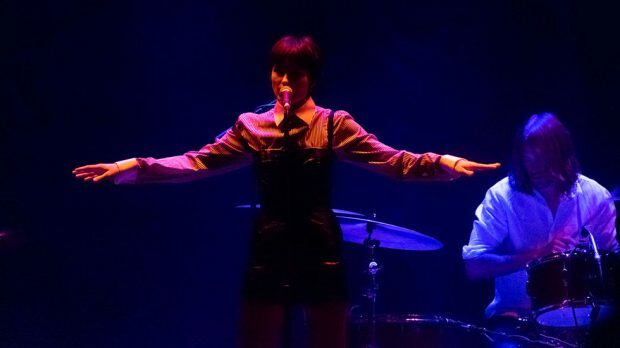 the band gave a performance of incredible calibre maintained by lead vocalist Isabella Manfredi’s amazing sound throughout the whole set. Finishing their time on stage with a respectful tribute to “the elders, past and present”, the band was successful in igniting a level of excitement that was fitting for the night ahead. Once the lights dropped there was a feverish anticipation for Harry Styles to take the stage, which was soon satisfied as the melody of Only Angel began. Styles’ effortlessly smooth voice stood out against the electric guitar riffs and a strong beat within the opening song. 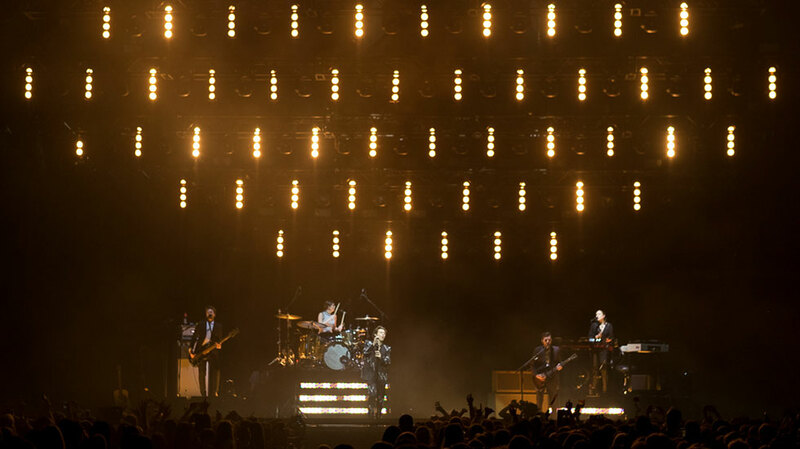 The stage had a simple but classic design that was stripped back, presenting Styles and the band as they were without any special effects. However there was the accompaniment of pulsing flood lighting throughout the show that varied with each song accordingly. Woman was the next song, smoothly transitioned into and featuring a slower sound with a thick, heavy guitar base. However vocal quality was not sacrificed and Harry’s silky timbre was complemented by the backing vocals of his band. Styles’ charismatic stage presence was prevalent in his interludes between songs where he would playfully interact with the audience, illustrating a very humble and relatable nature. The use of relevant culture references such as calling the audience “happy little vegemite’s” only added to his endearing qualities. While the show started strong, as it progressed there seemed to be a plateau in its energy. Perhaps this was due to there being a succession of songs that had similar tempos and sound, offering the audience a lack in variety. 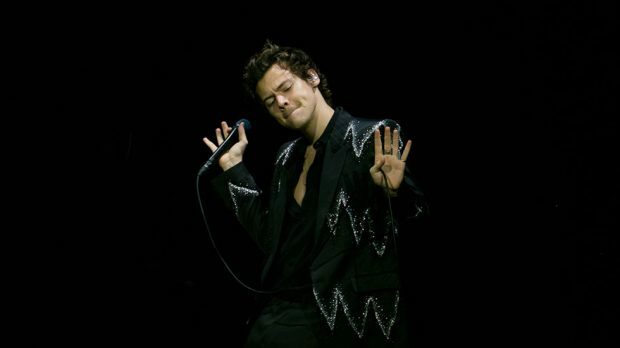 However, with his acknowledgment of a small base of 10 album songs, Harry promised to introduce an exciting element of the unexpected through playing both new songs as well as songs released by other artists. Styles’ unreleased tune Medicine offered a textured foundation of guitar and drums that came together with growling vocals and racy lyrics. 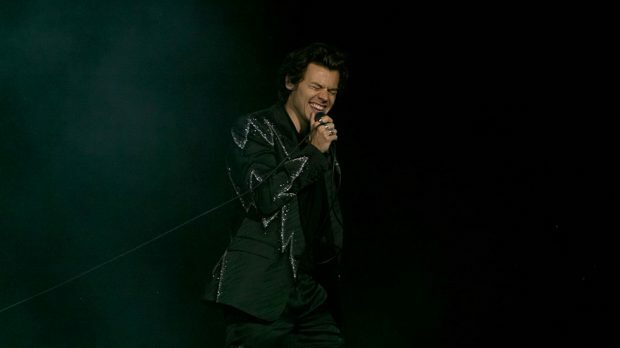 Harry surprised the audience again by paying homage to his One Direction past with performances of their songs Stockholm Syndrome and What Makes You Beautiful, but bringing them a newfound, edgier sound. He created pandemonium as he confidently sauntered to the second stage, which stood at the back end of the mosh pit. The two songs he sang on this stage Sweet Creature and If I Could Fly (another One Direction tune) were both ballads sparking the Arena to sing along. By design it is clear that the change in stage was a supposed to symbolise a change in mood and song type. However the show’s flaw in offering a wide variety meant that this movement was purely a change in location rather than anything else. 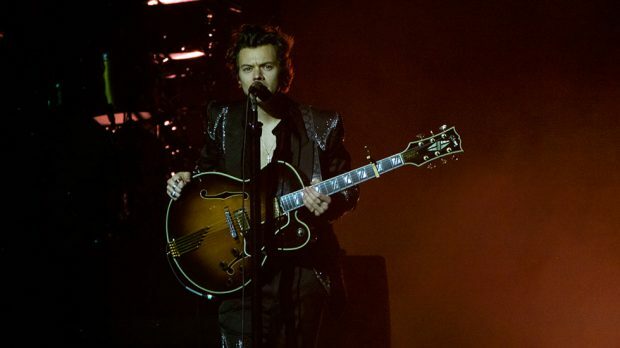 Perhaps this flaw could be put down to the initial aim at simplicity, however even without special effects or costume changes there could have been greater effort on Styles’ behalf to venture away from the security of the microphone stand and guitar. Styles made his way back to the main stage with a spirited run; symptomatic of what was to come in the finale. In the final moments of the show Harry was able to rectify any previous shortcomings with a commanding finish. Imploring the audience to use their phone lights, the Arena was lit up as fans sung along to the hit Sign of the Times, followed by a cover of Fleetwood Mac’s The Chain. 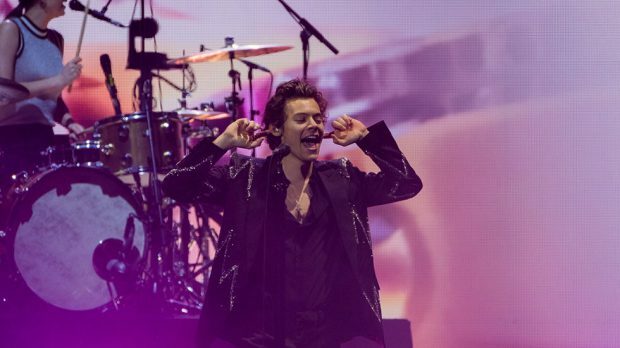 Lastly, Harry was able to cement his new rock sound with his final song Kiwi, generating a climactic level of energy from the screaming audience.